Welcome to this dog loving community focused on sharing experiences with the border collie. As more border collies are growing up outside the traditional farm setting this website aims to share family-pet information on health, training, diet, exercise and traits of this remarkable dog breed. Rushing into the decision to add a border collie to your family is not recommended, but instead you should consider the many aspects of what it really means to own a border collie. The border collie is not the type of dog that is for everyone as the border collie lifestyle matches only a low percentage of the population. Think about all the information on this website to know what it truly means to own a border collie and the commitment you are undertaking. Finally, if you feel you are capable, energetic and outgoing enough that a border collie is the right dog breed for you then consider first adopting a dog from a border collie rescue organization instead of going directly to a border collie breeder. Border collies were once exclusively bred to herd sheep and other livestock. Their sharp intelligence and amazingly acute herding instinct has made the breed rather popular in today’s culture often appearing in television commercials, television shows and in Hollywood movies like Babe. As a result of this exposure, the border collie breed is often very misunderstood by the general public. Border Collies are a breed of herding dogs that originally came from the border of England, Wales and Scotland. Border Collies are widely accepted to be the most intelligent breed of dogs in the world. With a very hyperactive personality Border Collie dogs have become the best farm hands as they are used to handle livestock. Besides their widespread use on farms throughout the world, Border Collies are increasingly being raised as family pets and sporting dogs. When published reports of border collies’ intelligence being higher then any other breed of dogs, many people flocked to border collie dog breeders to add one of them to their families. Though Border Collies can make great pets, it is important that the owner understand the daily physical exercise and mental stimulation that Border Collies need. 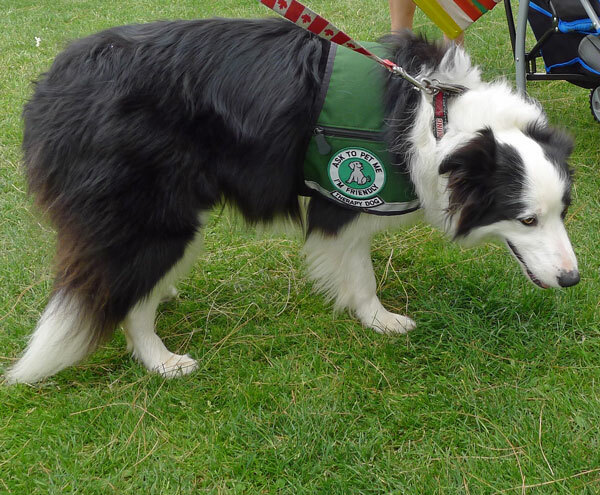 Every year thousands of Border Collies are rescued because a lack of regular dog training and exercise causes them to find activities on their own that might be destructive in a family setting. If given proper care, these dogs can be wonderful pets in that they can be both protective of a human family member and affectionate to humans they know. This beautiful dog is Chico, a registered purebred border collie with an abundance of love and athleticism. Chico is from a border collie breeder in Memphis, Tennessee. 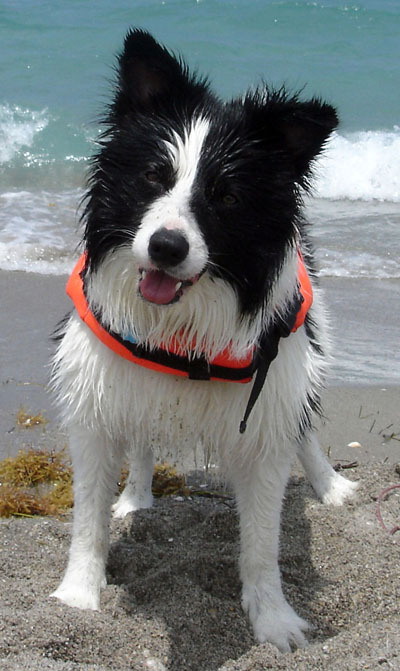 A product of working stock, Chico’s parents were herding border collie dogs on farms in Scotland and New Zealand. The father’s Scottish ancestry and his mother’s New Zealand ancestry provide the ideal background for a purebred border collie. As a black and white border collie, Chico represents the common color combination although red and other colors are fairly common. Border collies high intelligence is one of their notable traits and often out think their owners on certain occasions. A high performer in obedience and agility classes our dog also enjoys outdoor activities from hiking to search and find games. At 44 pounds our border collie dog enjoys his favorite toy the frisbee disc so much that just seeing it makes him beg to go to work. Life with a border collie in a family setting can be remarkable experience providing close companionship and unconditional love. After looking at the border collies names your family had better be prepared for the bigger challenge of tiring your dog out on a daily basis. Border collies do well with a mixture of different activities and new challenges that push their mental and physical limits. Many border collie experts agree that giving your dog a regular job to do will make satisfy his or her need for challenging work. If you do not live on a farm then herding sheep and cattle is not going to be possible so look for other alternatives. Try challenging games like flyball, agility training and catching discs. Inside the house, games like hide-and-seek with toys or treats can keep your dog actively challenged for long periods of time. Border collies are capable of remembering hundreds of words. This mental stimulation can be leveraged into a creative herding exercise by naming all of the dog’s toys and having him or her retrieve each one from around the house.